Bath time at our house is more like glorified swim time. 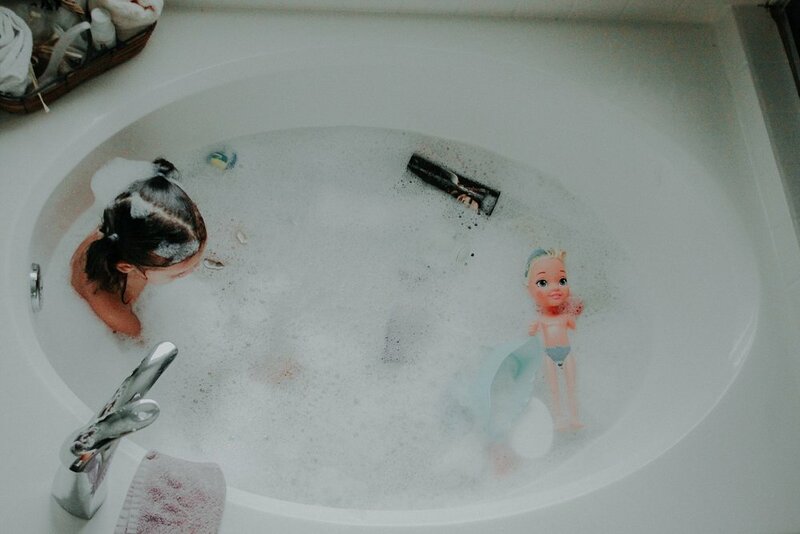 Getting my three year old out of her bath tub in under 30 minutes is nothing short of a miracle really. Every month I participate in Clickin' Moms Color Chase Challenge. January 2018 is the color white. So I thought of no more appropriate setting than bath time.